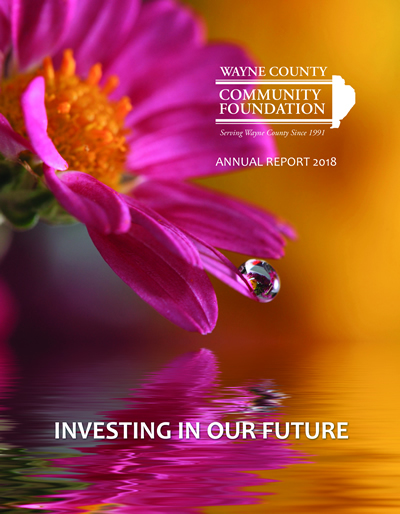 Wayne County Community Foundation Presents Grant to Greene-Dreher Historical Society" On March 28th the Wayne County Community Foundation presented a grant to the Greene-Dreher Historical Society. The Grant will fund the complete redesign of the society's website which was launched by a volunteer in 2006. With the redesign and enhanced search engine optimization, the historical society will reach a wider audience. Genealogists, researchers, local educators and historians will learn about the rich history of the area and what the GD Historical Society has to offer. Pictured L. to R. Paul Edwards, Executive Director of the Foundation and Jeanne Brown, GDHS President.